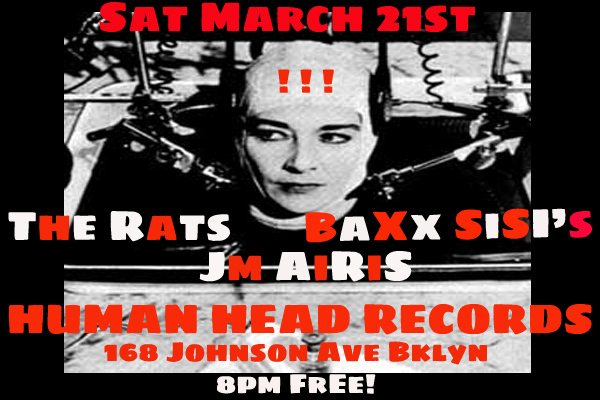 This Saturday at Brooklyn’s finest new record store Human Head…. FREE SHOW + FREE BEER!! Plus a very special stripped down performance by members of JM Airis Wild Birds! If this isn’t good enough for you Human Head is throwing in a keg for all of our drinking pleasure!! Doors at 7:30PM and It’s all over by 10:30 so get there early and do some record shopping! !